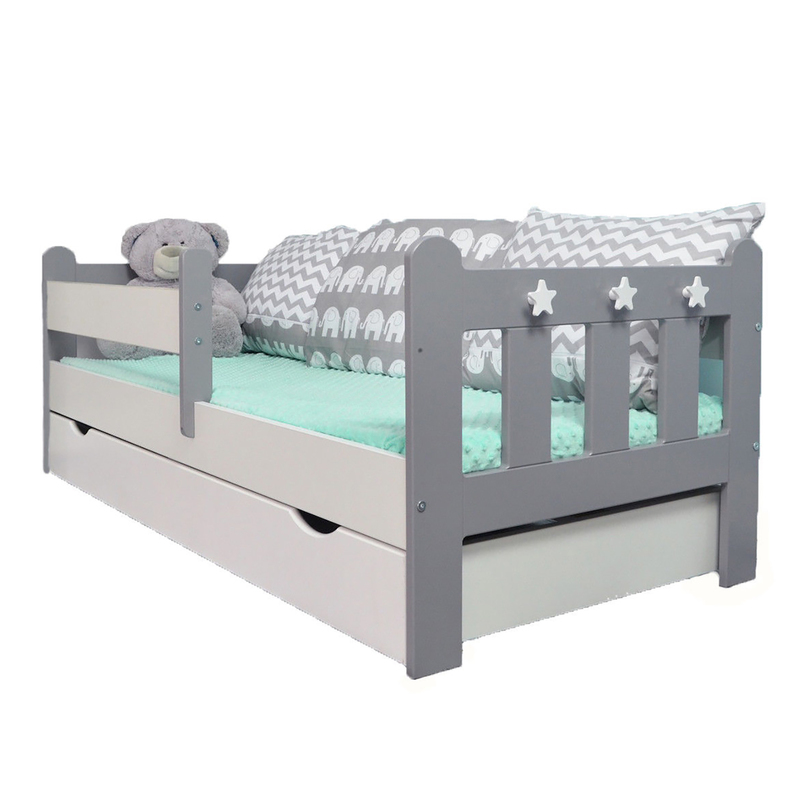 Ideal for children who have grown too large to be contained safely in their cot, but perhaps aren't quite ready for a full sized bed; the 4baby Stanley Toddler bed is beautifully designed and benefits from a heavy solid wooden construction. It is low enough to the ground to make it easily accessible for your little one and features 2 detachable side rails for reassuring security. Also included, comes the 4baby rollaway drawer, which is an ideal storage solution and space saver in one. Perfect for keeping your child’s numerous essentials close at hand. This handy roller-drawer is easily manoeuvred with 4 castors and will fit beautifully underneath the Stanley bed.